This is George and this is the game of his life... It uses an awesome LEGO Brick capture technology that turns your iPhone/iPod into a revolutionizing new experience, giving you hours of building fun with endless possibilities! Download and install the Life of George app. And hey – you’re ready to play! 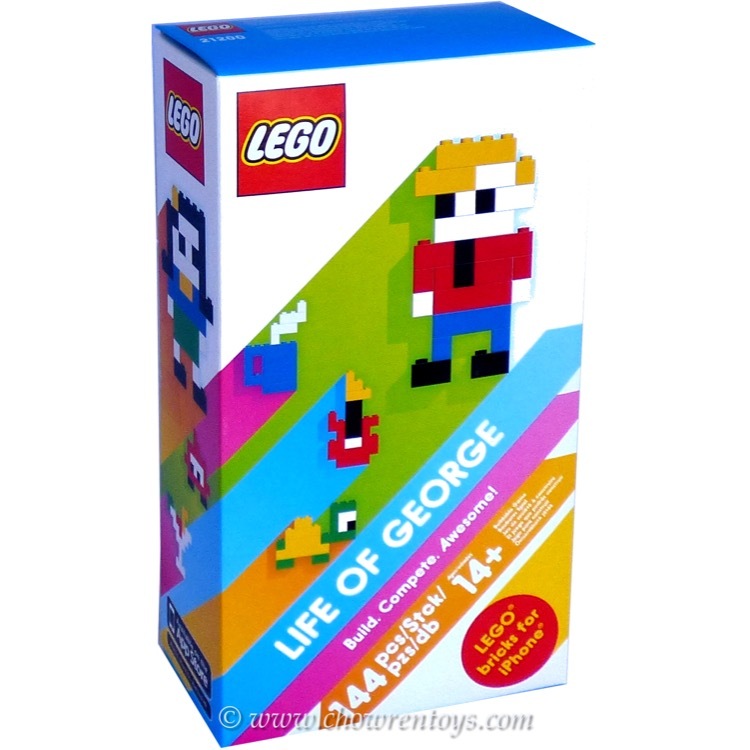 This is a BRAND NEW set of LEGO® Life of George 21200 Life of George from 2011. This set is still factory sealed and the box is in very good condition with minor shelf wear. 146 pieces and no minifigures©.